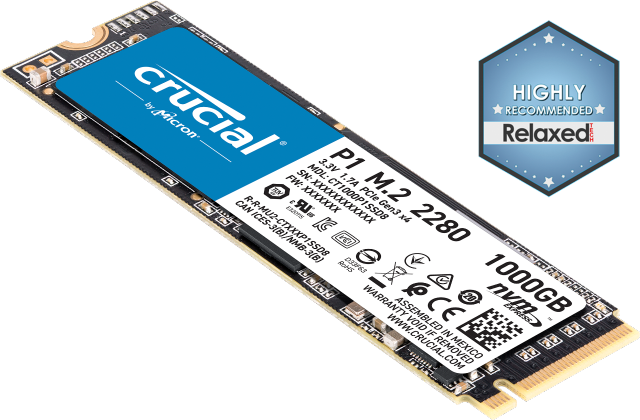 Unless you’re using an SSD, your system will eventually suffer from performance loss when the data stored on your hard drive becomes fragmented. There’s no reason to worry when this happens – defragging your hard drive is a simple fix. Hard disk drives fragment data because they are random by nature. Consisting of an actuator, platter, spindle, actuator arm, and read/write head (among other parts), hard drives work by storing and seeking out information on a rotating disk. When data is written (stored), it’s written to the first empty portion of the drive that the write head can access. When a hard disk drive has written a significant amount of data, the empty portions become rarer. It becomes harder and harder for the drive to find all the information or programs you want it to access in a timely manner. By defragmenting your hard drive, you are asking the computer to consolidate the information in one area of the drive. This will allow the drive to find information faster and find open portions to write new information faster. 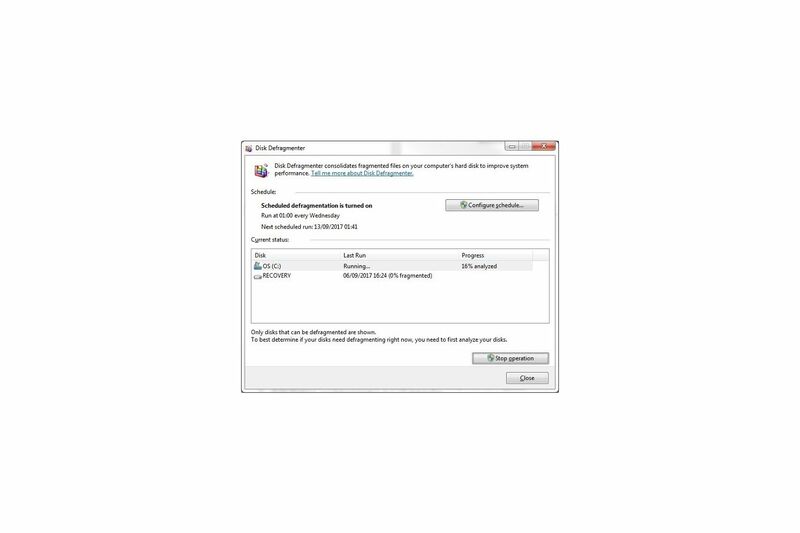 Windows 8, Windows 7, Windows Vista®, and Widows 10 are built with an updated Disk Defragmenter utility, which automatically performs periodic defrags. Unless you need to perform a manual defrag, you don’t have to do anything – just let it run! Select the schedule you want. Pick a date and time that the computer will be on but no one is typically using it. The computer can be asleep. To run Disk Defragmenter manually, it’s usually best to analyze the disk first. Select Analyze disk. The report you get will indicate if you need to defrag your disk. After defragmenting, you should experience a performance increase from your computer. 2. Select the local disk volume that you want to defragment by right-clicking it, then click Properties. Defragmenting your hard drive isn’t difficult, but unless it’s set up to run automatically, it is one more maintenance item to remember. If you want to avoid the hassle, look into upgrading your computer by replacing your hard drive with a solid state drive. 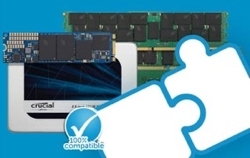 Like Mac® systems, SSDs don’t need to be defragged. They store data in larger, consecutive blocks so the data doesn’t become fragmented. 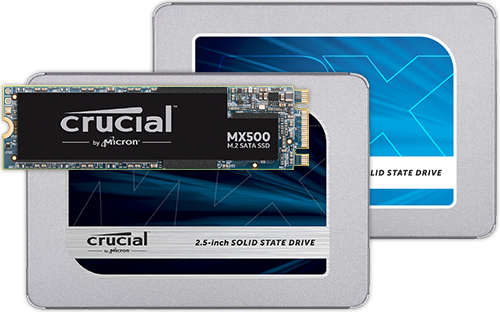 Learn how to install an SSD in your desktop here. ©2017 Micron Technology, Inc. All rights reserved. Information, products, and/or specifications are subject to change without notice. Neither Crucial nor Micron Technology, Inc. is responsible for omissions or errors in typography or photography. Micron, the Micron logo, Crucial, and the Crucial logo are trademarks or registered trademarks of Micron Technology, Inc. Microsoft, Window, and Windows Vista are either registered trademarks or trademarks of Microsoft Corporation in the United States and/or other countries. Mac is a trademark of Apple, Inc., registered in the United States and other countries. All other trademarks and service marks are the property of their respective owners.